Needless to say, we’ve been baking everything. 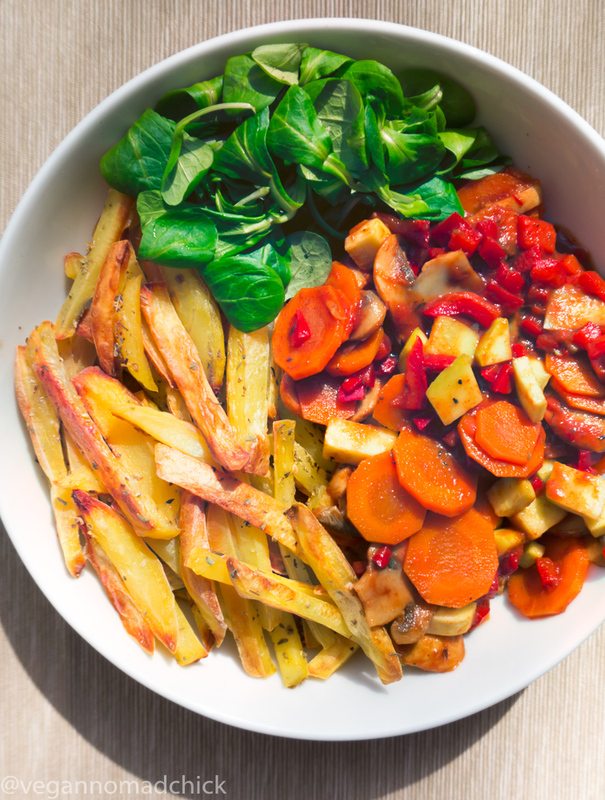 Baked chips with sautéed veggies (also oil-free) have to be one of my favourite lunches at the moment. I just can’t get enough of them! Potatoes have always been a staple for us. Potatoes are cheap, nutritious, and delicious any way you cook them. Steamed potatoes are lovely, boiled ones are nice, but baked chips are out of this world! Potatoes often get a bad wrap because they are usually eaten fried or smothered in butter, sour cream, or cheese. Even the veganised versions of these foods are swimming in oil and loaded with salt. 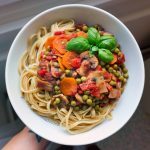 Vegan doesn’t necessarily mean healthy, unfortunately. 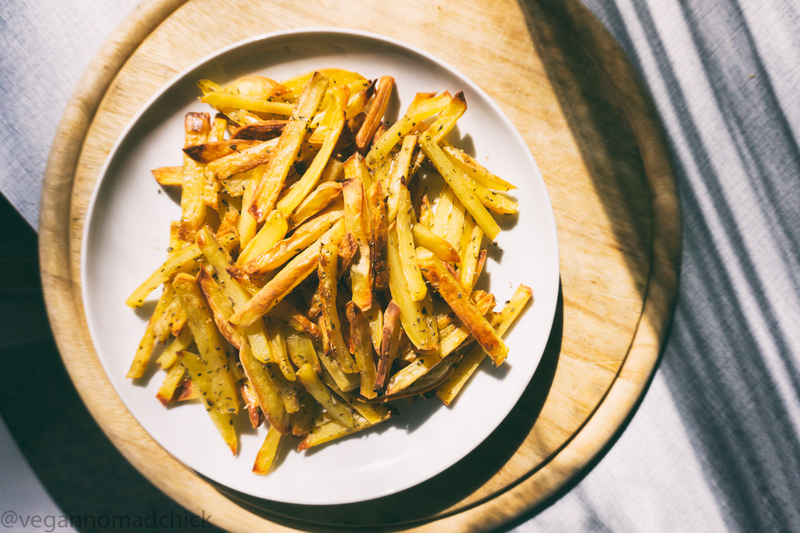 If you leave out the processed fats and salt, you find potatoes are delicious just as they are. A half-kilo of plain potatoes (a typical serving size for me) gives me ~465 calories, a third of my daily protein, and only half a gram of fat. Potatoes are also high in vitamin C, several B vitamins, and a good number of minerals. Deep-fried chips, on the other hand, are devoid of any nutrients. 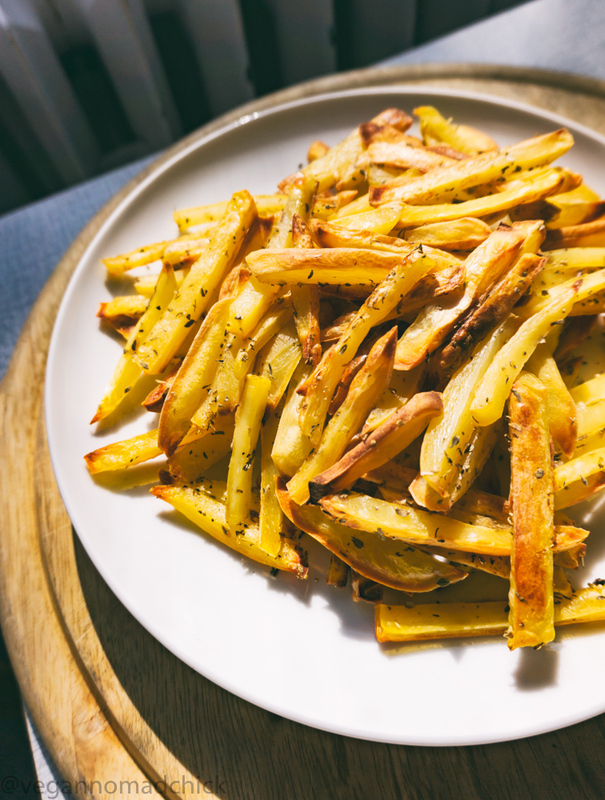 A half-kilo of french fries (even homemade ones) clocks in at around 1500 calories with 90 grams of fat. Oil, even without frying, is far from healthy. So skip the oil and eat potatoes plain. Steamed, boiled, or baked potatoes eaten without oil or salt are healthy, low in calories, and high in fibre. Eat these spuds with abandon! Chips or fries? They're delicious no matter what you call them! 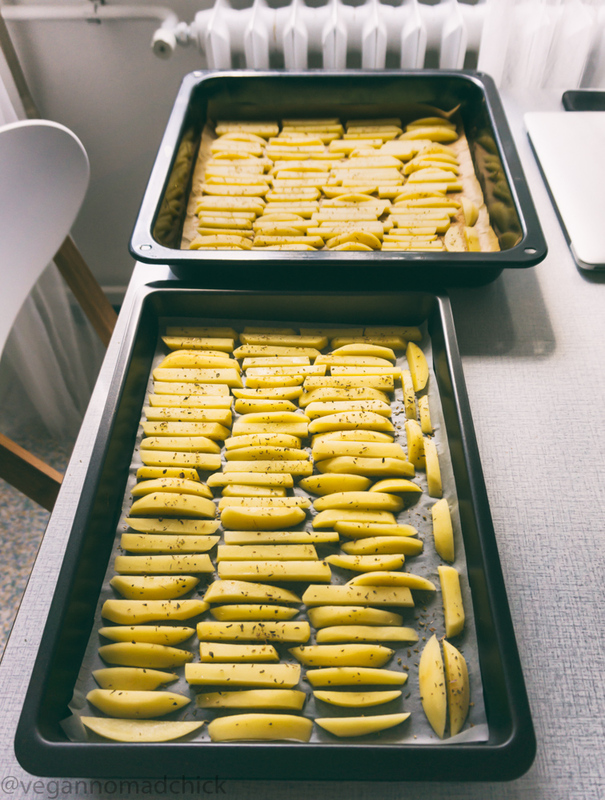 Preheat your oven to 220℃ (~425℉) and line two pans with parchment paper or a silicone baking mat. Set aside. Rinse and scrub the potatoes well. Peel (optional) and slice them into thin wedges. The thinner your slices, the faster they'll bake. Put chips into a large bowl. Sprinkle with dried oregano or any seasonings you like. Give them a good mix to ensure they are evenly coated. 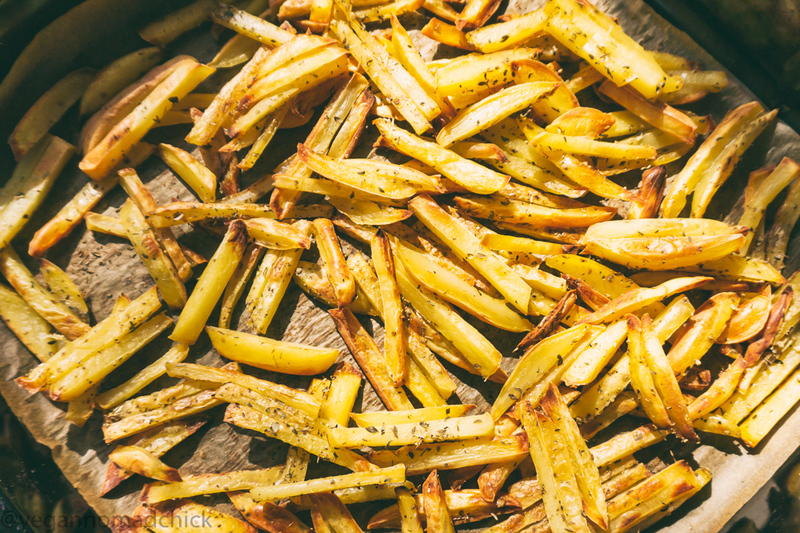 Arrange chips in a single layer on each pan. Make sure chips don't touch one another. If they are touching, they won't be as crisp. 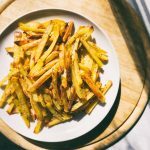 One serving of chips is approximately 465 kcal. The baking time will vary depending on how thin your chips are. The thinner they are, the less time they need in the oven. If you are using a silicone baking mat, you can set the temperature a bit higher. Try baking them at 230℃ (~450℉) instead and watch your chips closely to ensure they don't burn. We use large brown-skinned potatoes with yellow flesh. We prefer dried oregano lately, but any dried herbs or seasonings will work. Try black pepper, curry powder, paprika, rosemary, or whichever seasoning mix you prefer!